A student at Takashiro High School who falls in love with Karin. He first encounters her on the bus. After Karin dropped her book on the bus, he came to her school with his friends to return it, and consequently was pulled into a "Goukon" (group date) which includes Karin, Yuka and his friend Tohru. He works many part-time jobs to support himself as he lives separate form his family due to a conflict with his father. He has a love for photography and is very good at it winning prizes. Despite Yuka&#039;s repeated attempts to get his attention, he remains immune to her advances, often leaving her behind with Tohru while he goes off with Karin. At the end of chapter one he kissed Karin for the first time. Afterward, much to Karin&#039;s dismay, he often embraces and kisses her. He continually shows up around her, offering to take her to dinner and walk her home. It makes him angry and annoys him when Karin -out of habit- shows disregard for her own well being (ex. walking home alone in the dark). 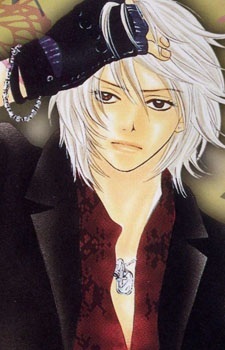 Karin initially rejects him because she didn&#039;t want Yuka to be angry at her. Believing Yuka to be her friend, Karin told Kiriya that she didn&#039;t like him. He proposed to Karin at the end of the series and they marry.